Deciding to build a new room addition, such as a family room, is both an exciting and frightening undertaking. Without room addition plans and a room addition checklist in place, the probability of getting the room addition you envision is highly unlikely. For many homeowners going down a room addition construction path, it is fraught with questions and uncertainty, however by creating a list of questions and then a room addition checklist, a plan of attack can begin to take shape. To help you get started in planning your new room addition project, I have summarized below a high level room addition checklist. 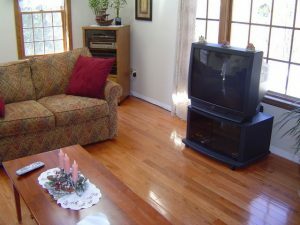 However keep in mind, there are many phases in a room addition project. The summary room addition checklist I outline below should get you started, but at some point you will need to go much deeper in developing your own room addition plans and schedule. Room addition projects can cost upwards of tens of thousands of dollars, so unless you are paying cash for your project you will need to obtain financing. Visit banks in your area to understand loan options available to you, as well as to get some idea of the amount of money you can borrow. With this information you can then begin to establish a room addition budget. You will need a complete set of room addition plans that include the structural detail to obtain building permits. You can create your own set of room addition plans utilizing a home design software package, or enlist the services of an architect. If your room addition is complex, I would highly recommend the services of an architect as they can ensure that the room addition works both functionally and aesthetically into your existing home. With a complete set of room addition plans in hand meet with potential home building contractors to go over your plans and to solicit contractor bids. Carefully review each contractor bid to determine which home building contractor is right for your room addition project. Once you have selected a building contractor and know your new room addition costs, obtain financing on the project. With a room addition contractor lined up and financing secured, visit your local building inspector to pull the building permits for your room addition. Most likely you will need framing and electrical permits. If plumbing is involved in the project you will also need to pull a separate permit for it. With building permits in place you’re ready to break ground and begin construction of your room addition. With a room addition, construction should start with excavation, and pouring footings and foundation walls. The start and completion dates for the construction of your room addition should have been included in the timeline provided by your home building contractor. With a room addition project it is easy to regularly inspect the progress of it. Plan to meet up once a day with your contractor to see how things are going and to make sure there are no issues, such as delays in building materials. Also, if you see issues in the construction, bring them up promptly with your contractor. Fixing problems right away is always cheaper than fixing them later. Upon the completion of each phase of your room addition project, either you or your contractor should contact the local building inspector to come out to the site and inspect and sign off on the work. When the room addition is complete, obtain a final inspection to permit you to formally and legally occupy your new room addition. With your final inspection sign off complete, you are now ready to move into your new room addition. It is important to remember that this is a summary room addition checklist. There are many detailed steps along the way, as well as possible other major steps that may need to be taken depending upon your unique situation. For example, the movement of an electrical panel or the application of a setback variance are just a couple of possibilities that may need to be addressed. For a more comprehensive room addition checklist, see my Room Addition Bid Sheet. The Room Addition Bid Sheet provides a request for quote checklist section that you can provide to prospective building contractors. It also includes a comprehensive room addition construction cost breakdown table, in Microsoft Excel format, that allows the contractor to include his projected new room addition costs for every phase of the project.